A few weeks ago I attended my first blogging event with LUSH. If you haven’t checked out my part one of this blog you can do that by clicking the link. But the long and short is a couple of weeks ago I was very fortunate to attend a preview and sample night of all the new Mothers day and Easter 2018 LUSH collections. Not only am I a huge LUSH fan (check my beauty category for my MANY posts) but to attend a LUSH event for my first blogging event! I have never felt more like a blogger, to be honest. Which sounds cheesy I know but it’s true. Funny story sidetrack, on the way my bestie asked what it was we should expect from the event. I looked her dead in the eye and answered “I don’t know, never done anything like this before”. (Lol) So, my first advice is just go for it loves and learn as you go. Jump right on in. The event took place in LUSH Bath (the city not your bathroom). Which is not only an incredible store as it is set up so well. There is a LUSH kitchen in one corner, bath items in another. A perfect gift section and a gorgeous SPA on the bottom floor. Yes, a SPA (that is in part 3). So, the store itself is just beautiful with lots of little touches throughout that give it a homely feel. However, I am here to discuss my first blogging event. What I learnt, what I enjoyed the most and what I would do differently next time. From a bloggers point of view. That way we can all make the most of our blogging events. The first thing I learnt was that blogging events are really fun! A great place to meet new people and try new products. That alone is a bloggers dream. I also learnt that it is good to know what you want to gain from the event. I knew I was going to be taking as many photos as I possibly could. This event, for my readers, needed to be really visual. This way I was able to share all the amazing new products with everyone. I made sure my camera had new batteries and spares. I also made sure to charge my phone and clean all lenses on my equipment. I also learnt to take your time. My bestie and I managed to get to try most of what was available to try. This is because we took our time and didn’t rush. We also had some great chats with the LUSHIES who work there to find out all the inside knowledge. Again, this was simply because we took our time. I also learnt that you need to take your A game charisma with you to blogging events. I found this easy as I was buzzing for my first official bloggers event so I used that energy. You don’t want to come across drab and boring though. I mean you’re a blogger after all and bringing life to an article is your job really. So, be sure to bring some great energy with you to these events. It will make the experience so much more enjoyable and others will see it. So the final lesson I learnt I knew any way but I was able to put it to practice at this event and that is to introduce yourself and your blog. Also, taking The time at the end of the evening to say goodbye and thank you. 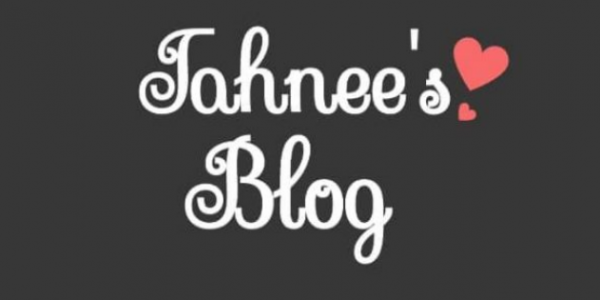 The whole night I was ‘Tahnee from Tahnee’s Blog’ (lol). I wanted everyone to know that’s what I am representing and hopefully they’ll have a look themselves. As I said above, taking the time to say goodbye and thank you is really important. Be gracious and grateful for the opportunities your given. Tell people you are too. I left with a hug from the very lovely Tori so my night was beyond complete! My plans of blogging are not changing any time soon (nearly two years now) so I wanted to look at what I would do differently in the future and I have a few notes. First of All, I would remember to take a note book. Now, I know this sounds so obvious but I was like “Nah won’t need one” I got my camera right? Well, as it turned out, wrong! I found myself needing to take notes alot. Next time I will have a trusty pad and pen that I can write notes on so I don’t miss anything. I would also take a note of the posts I am hoping to gain from the experience. Whether that is social media or blog posts. This way you can really tailor the post to your audience. You will already know what they’re looking for and can deliver. Even better if you ask your audience what they want to see before you go. You can really make the most of your opportunity doing this. I will be more organised next time for sure. I think it’s safe to assume that I was hyped for this bloggers event. Not only was it a LUSH event but I really learnt a lot about bloggers events. Myself as a blogger and where I can and need to improve. I am so ready for my next bloggers event where I can bring you guys amazing new products, companies and so much more. So, watch this space my lovelies as I’m working so hard be hun the scenes to bring you better content (Superdrug exclusives coming soon eeeek). Have you ever attending an event like this even if you’re not a blogger? Tell me all about it in the comments below my love. Tell me what you learnt from it. Sounds like a lot of fun, and great advice shared. Oh, these look like I could eat them. That looks so dope!!!! What a great inaugural event! Congrats on the milestone, how fun that it was such a photogenic one like lush!!! I love Lush! Such an amazing place. What exactly is the point of a blogging event and how do you go about attending one? Thank you!